Why is this even a trail? I debated whether I should even write a description for this short little connector trail but after giving it some though I decided without it there would be no GPS route for someone planning a hike to use. 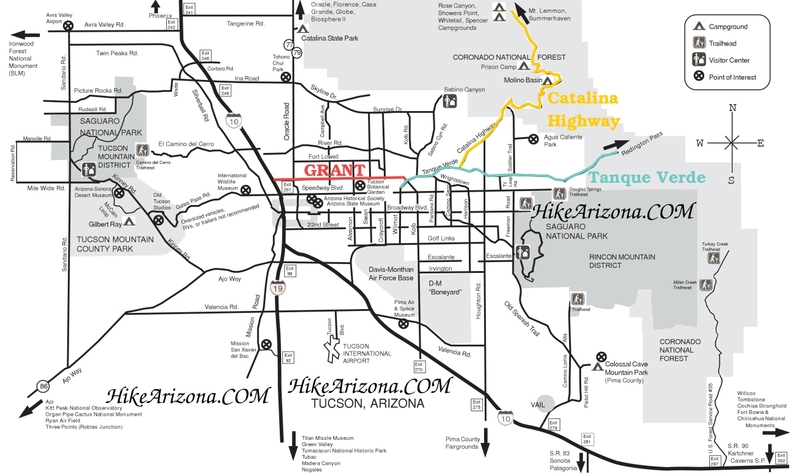 I found these official routes beneficial to load in my GPS before I go hiking. 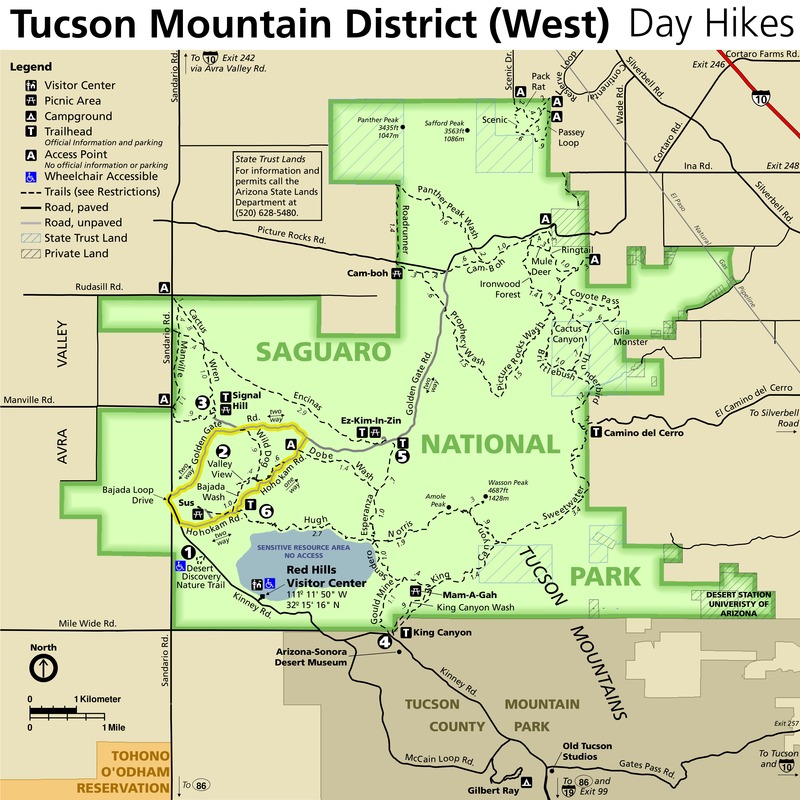 This 0.3 mile trail in the northeast part of the Saguaro National Park connects the Ringtail Trail to the Ironwood Forest Trail. The trail crosses a rise that separates the wash that follows along the Ringtail Trail from the wash that follows along the Ironwood Forest Trail. 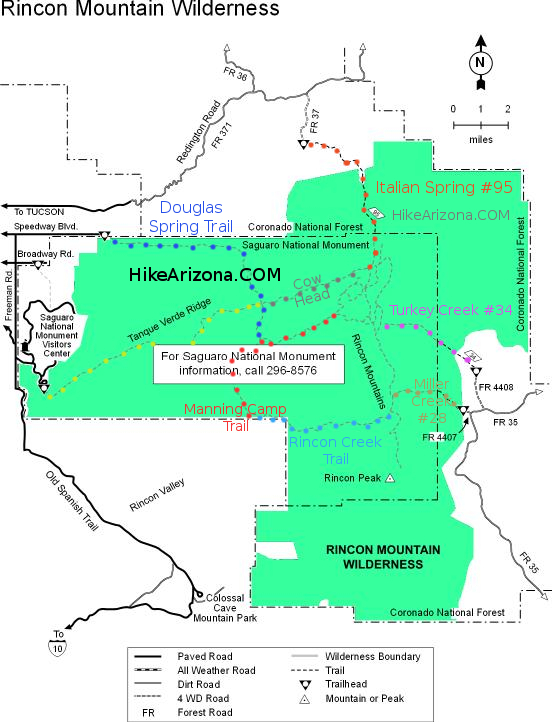 This trail has an elevation gain of about 13 feet so it is fairly level and easy walking. This trail is easy to follow and appears to be used regularly. 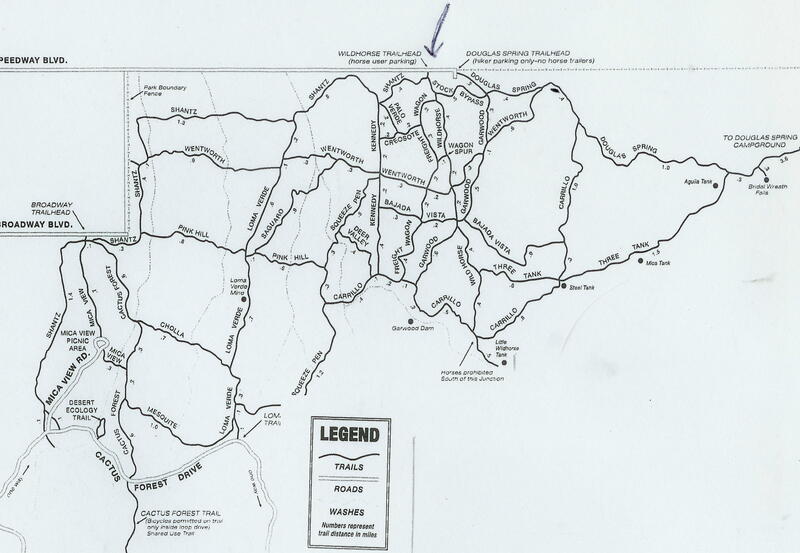 The dominant features along this trail are Picture Rocks Peak to the east and Picture Rocks Road as it goes over Contzen Pass. I have tried to figure out why this trail even exists, it doesn’t seem to fulfill any function other than to connect two trails together that are already connected together about 0.1 miles to the north by the Cam-Boh Trail. Was this part of an older trail or did they just need to put something here to fill in the space. 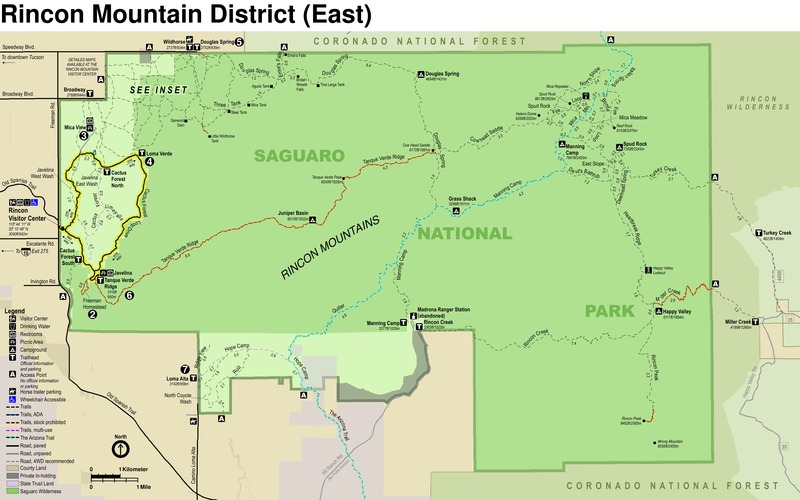 I couldn’t come up with a good explanation until I was walking the really sandy 0.4 miles of the Cam-Boh Trail from Ironwood Forest to the Ringtail Trail when it dawned on me why the Mule Deer Trail was there. Both the Ringtail and Ironwood Forest Trail north of the Mule Deer Trail along with the 0.4 miles along the Cam-Boh Trail are extremely sandy and difficult to walk; if I was on a longer loop hike on the Ironwood or Ringtail trails this connector trail would be a good option to avoid the sandy parts of the Cam-Boh Trail. Not sure if this is why the trail is there but it sounds good to me. 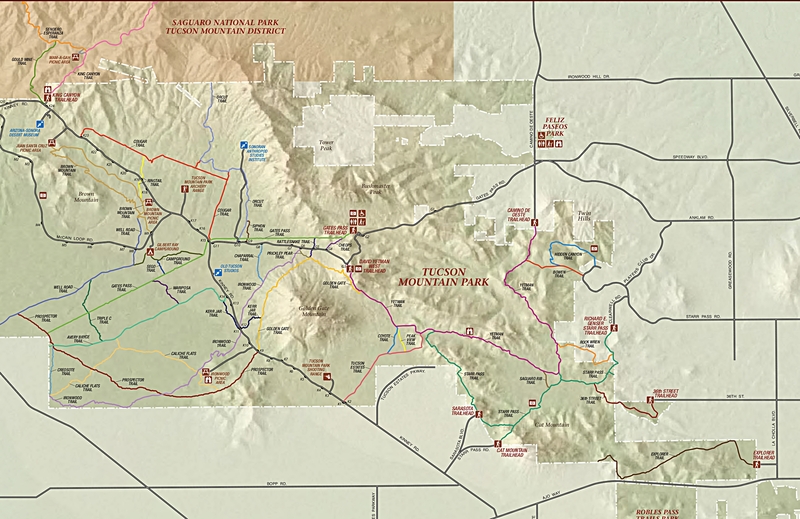 Saguaro National Park West. Trail Head parking area 0.2 miles west of Contzan Pass on Picture Rocks Road.